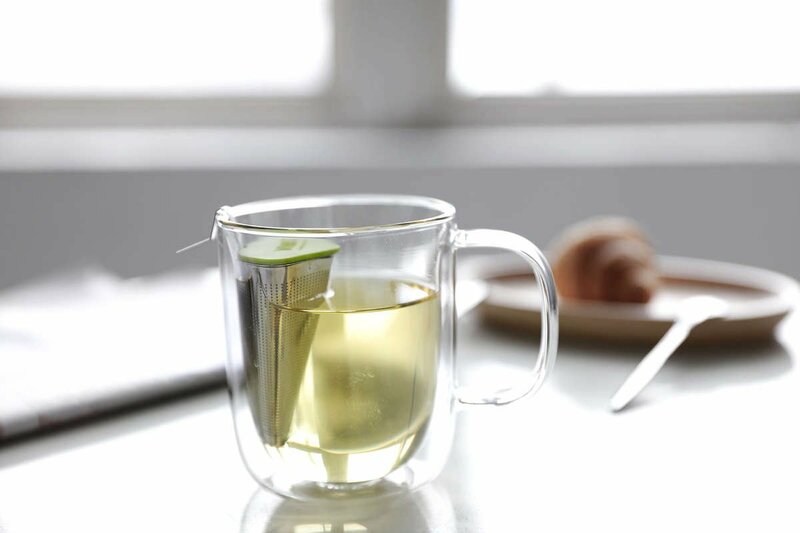 Our Infusion Tea Strainer is the gold standard of infusers. No fragile or fiddly parts, just high quality stainless steel and BPA free silicone. 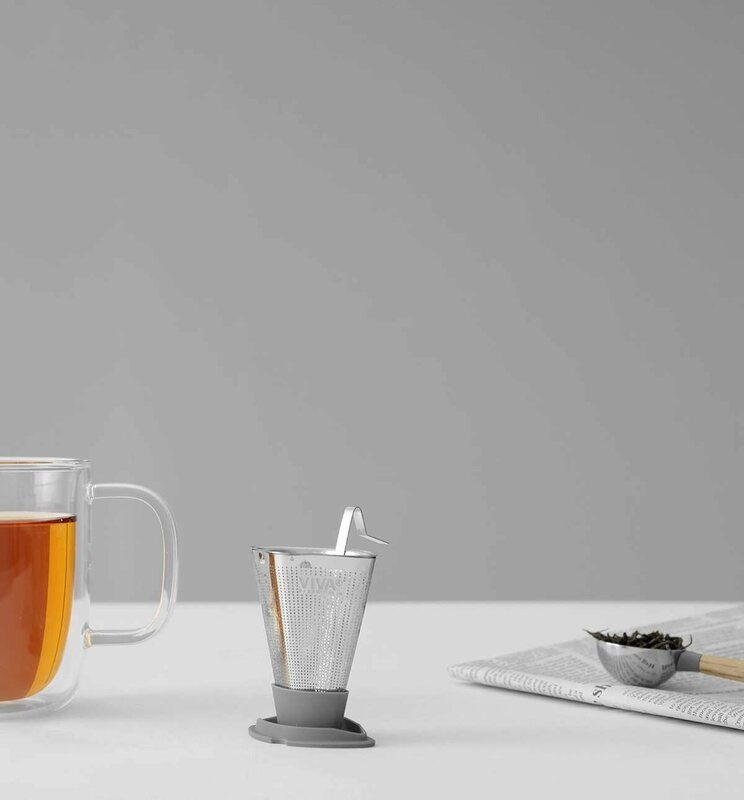 Simply fill it will tea, place it your mug and let brewing a perfect cup become the heart of your morning ritual. A new day is a beautiful thing. Waking up refreshed and revitalised can make you feel as though you can tackle anything that life throws at you. You may be tempted to rush into your day. You may feel the pull of your busy schedule tugging at you. But what you need to do is centre yourself. And the best way to do that is with tea and contemplation. Brewing a cup of tea in the morning is one of life’s simple pleasures. You can think about the day ahead of you and how it is going to look. Let the morning wash over you as you easily brew tea straight in your favourite mug. Our sturdy stainless steel infuser means you’ll never be without your perfect morning brew again. 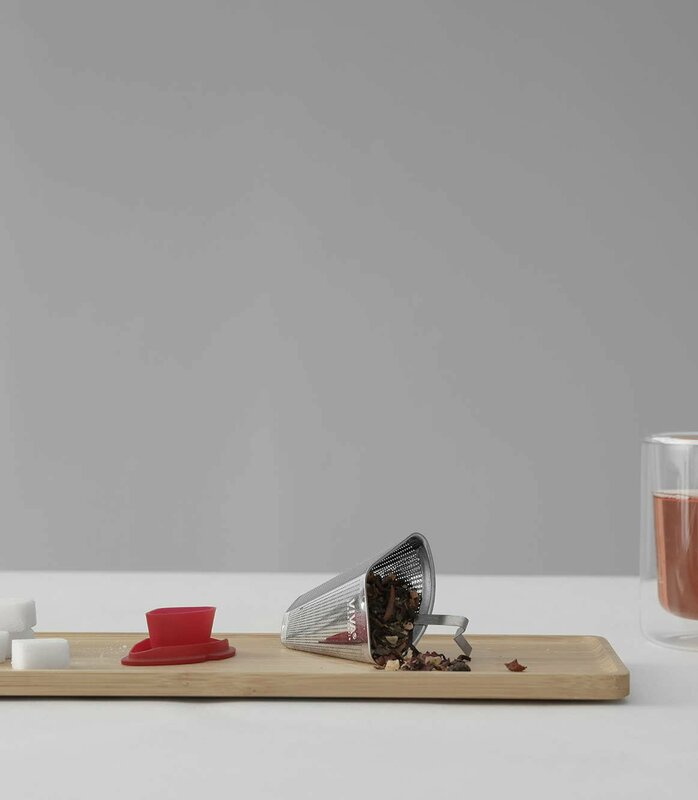 For beginners and experts alike, our infuser lets you set up your day the right way. Will this leave bits of tea in my cup? The stainless steel body of the Infusion Tea Strainer has very fine holes at the bottom, with increasingly coarse holes higher up. This should be ideal for most types of tea, and stop any noticeable particles from entering your tea. Generally speaking, high quality teas will not be ‘dusty’, and therefore will not leave particles in your tea. So if this has been a problem for you, it might be worth considering looking into higher quality versions of the tea you’re drinking. Is this strainer difficult to use? This is one of the easiest strainers to use. There are no clips, clasps , levers or springs to worry about. You simply pull off the flexible silicone lid, spoon in your tea and hang it over the edge of your cup - ready to go! 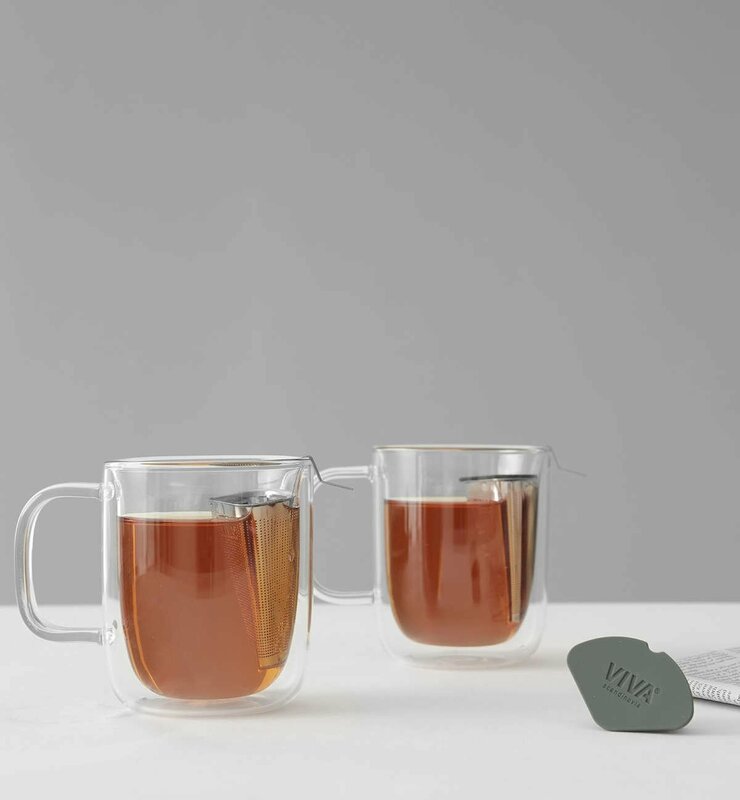 The lid also doubles as a stand, so once your tea has infused to the strength you prefer, you can take it out of your cup and set it down without any fuss or mess. The entire body of the infuser is made from our specially developed Immacular stainless steel, the same type of stainless steel used for high quality pots and pans and other food-preparation tools. So under normal conditions it will not rust or degrade and will be a faithful tool for years to come. Will this tea strainer discolour over time? Being stainless steel, the metal itself should not discolour. However, if you are using the infuser to make dark tea, you may eventually see a buildup of tannins on the steel. This is sometimes referred to as ‘seasoning’ and is not necessarily a bad thing as it helps contribute to richer, deeper flavour. This can be always be removed with a good scrub or by using a more intensive washing liquid. Can this infuser be used for coffee? 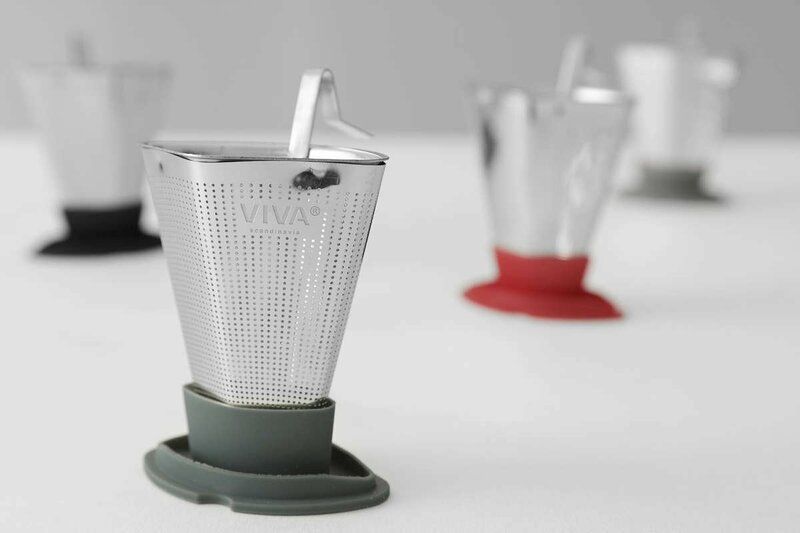 Using tea strainers like the Infusion for making great cups of coffee is a growing trend among coffee aficionados. If you choose to do this, we think the Infusion is an ideal strainer to try it with! A medium-coarse grind is ideal. Simply spoon in your grounds, and then pour over you boiling water. What easier way is there to make a good quality coffee in a pinch?